Correctly calibrating energy flow in your personal space is essential to living a more peaceful and prosperous life. Your environment is a part of who you are, and that energy can flow through you and influence your life’s path. 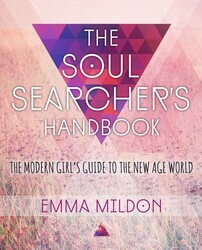 Here are tips for setting up your home from The Soul Searcher’s Handbook: The Modern Girl’s Guide To The New Age World. The front door is considered the mouth of the chi—where energy enters the home—so make sure it is inviting. What is your front entranceway’s message to the world: come in; welcome; we’re proud, clean, tidy, beautiful? By adding in potted plants, laying down a welcome mat, and tidying up the garden by your front door, you will find more positive energy flowing up to and into the front door—and into your life. That table you always stub your damn toe on or chair that just doesn’t sit right is a sign it is blocking chi or welcoming in negative chi. Move it or get rid of it! Can you say “garage sale”? Reintroduce nature into your home by adding plants, water, crystals or gemstone rocks, natural light, and airflow wherever possible—except for water and plants in the bedroom; that’s a Feng Shui faux pas. The kitchen is full of fire energy elements, so it is important to not add to the fire energy with power lighting or spotlights. Use as much natural light as possible in your kitchen. Placing flowing water in a foundation or water feature of some sort by your front door represents the flow of wealth into the home, and by positioning it by your entryway door, you are welcoming in new financial opportunity. By closing the door to the bathroom, you are blocking off any drains that might, well, drain positive energy or material wealth from your life. 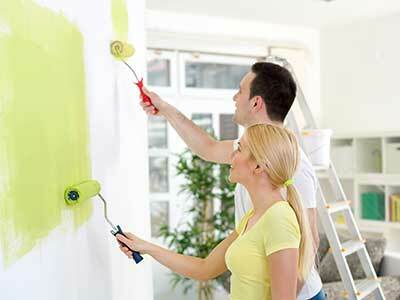 A wind chime hung in the right-front area of your home will attract more help and assistance in your life. Who doesn’t need a little help from their friends now and again?